Happy DSD!! Today starts the madding fun of digital scrapbooking day! There's so much going on around DigiLand so I'll keep this short. 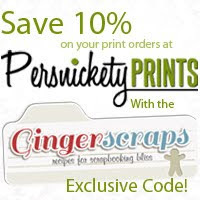 At GingerScraps you'll find the Scavenger Hunt, Win Your Wish List, Chats, and Scraps!! Plus for $5 you can pick up my newest release "New Do" the mega bundle!! Over 80 Elements over 60 papers 5 Full Alphas 10 pocket Cards and 4 Templates! My Daughter and I cut 10 inches off this past year to donate, naturally I took a ton of photos that need to scrapped, so I made this wonderfully fun kit all about HAIR! Weather it's a first cut or a new style its worth a picture, and scrapping this kit works perfectly with that! See the full reveal of each pack in the store! Check out these Beautiful Layouts my Pretty Team created! So many amazing layouts right! I Love them! 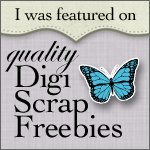 Before I get to the Freebie, Just a reminder I am hosting a Slow Scrap on Sunday 11/8 at 12pm est, in the GingerScraps forum. There will be a freebie that coordinates with "The Best Day" for all who play along! I hope to see you there! Now for the Freebie!! yey! I hope you have an amazing day! Thanks for Being a Fan!! It's been a very very long time since I've held a CT call! This guest spot could result in a permanent spot!! As a Guest for November you will be required to work with my DSD bundle. Complete at least 2 layouts and during the sale week actively post to galleries and social media. Post sale ads and Events. I'm looking for 2-3 happy positive and proactive scrappers who are enthusiastic about my designs and aren't afraid to show it! 29 Elements 8 pieces of flair 6 word bits 8 solid papers and 18 pattern papers. with the 25% discount this kit is $3.00!! I even found time to scrap! Of course I used my Ready Squares too! here's a couple more super cute layouts by my CT!! Check out these super cute kits and template that are part of the $1.00 Bake Sale going on NOW at GingerScaps! Remember to pick up the Facebook Fan Freebie before it gone! Afternoon Scrappers! I hope you are enjoying your Sunday so far, I'm happy because, today is my "Friday" for work, and I get Monday off! I might just find the time to start on a new design! I have to apologize for my late newsletter, the little bit of time I had to work on the newsletter yesterday, my little kitty wanted to hang out on the porch swing and be all cute, so you know I couldn't just get up and do work, lol. If you'd like to have a look in to my life feel free to follow me on Instagram, RGPrettyingreen, I don't post all the time but I do share some cuteness. Okay okay okay, so let's get to the New Release!! This Week I released my second set of Ready Squares! This was a Request from an awesome Fan, she loved Set One, and wanted more. She suggested larger squares spots, and the color blue. So I made up Ready Squares: The Blues! Ready Squares 2: The Blues are a kind of quick page, These 24 Different basic pocket style scrapbooking layouts, in 6 different shades of blue, help you scrap faster, get caught up and get printing, preserve your memories and cherish your present! Just pop in cards, papers, and photos add little elements and tags then you’re set! as you can see the CT really rocked these, I really do love the ease of these squares. I am definitely going to be making more, I just need to pick another color! Do you have a request? Looking for more, check out Ready Squares set 1! Have a wonderful weekend, and Happy Scrapping! Hello Scrappers!! It's a beautiful day here in PA, so I'll keep this short! First off what do you think of the new Newsletter look? Pretty cute huh? It's been a short while since I've had a chance to design, so I was excited to have some time to complete this requested kit for sky diving! I really do love working on requests, so if you have one feel free to shoot me an email and I'll add it to my list!! So what's new for this week? A kit all about jumping out of an airplane! Do you take risks? Jump from perfectly good airplanes? or plan on marking this off your bucket list? Sky Dive the kit is perfect for scrapping this amazing bucket list adventure. 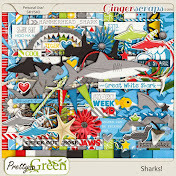 Like Pretty in Green on Facebook for a Freebie!